​What is Ascension Magic? Ascension Magic is a combination of 2 words that mean something important to me. The word "Ascension" represents the raising of consciousness and the spiritual side of myself. The word "Magic" represents the mystical, wondrous, and playful side of myself. You might even think of it as the 2 hemispheres of the brain. While both words seem isolated, they actually work together harmoniously and are essential my mission in the world. My mission here is to assist you on the road to ascension. I am what is known as a lightworker, and it is my soul's desire to help anchor light and love into the world in this new era to help all of humanity remember the light that we truly are. In truth, we are always connected to the divine. When we are clear and focused we can easily hear the messages being brought forth to us. However, life on planet earth can be difficult and we can easily become clouded and get thrown off our path. 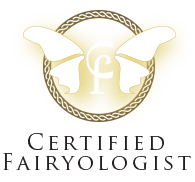 I am an Angel Intuitive, a Certified Angel Card Reader, Fairyologist, Reiki Practitioner, Healer, and Teacher. It is my desire to use my gifts and abilities to bring you blessings and return you to the path of Light. Sometimes you might be stuck and have questions that you need answered. Other times you may need a gentle healing with compassion and love. Working with the Angels can be a beautiful way to give you the clarity and peace you seeking. Please visit the SERVICES page for more information. If you would like to know more about me and my journey, please visit the ABOUT ME page. Also on this site you will find links to resources , a community on facebook, and a personal blog. Please enjoy the website, and if you like to provide any feedback or if you have any questions you may contact me by visiting the CONTACT page. Please join me each week the Ascension Magic Radio Show. 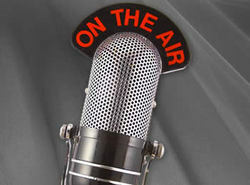 I will do live readings on the air for you, answer questions, and have guest speakers. I hope you will join me. 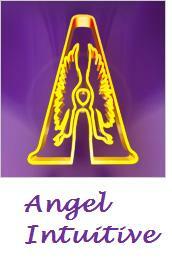 "...Prior to going into the Angel Reading I was so nervous and didn’t know what to expect!!! Once the Angel Reading, with Ron, began it was remarkable because he put me at ease, while my 3 year old was still awake (which we all know, ease and 3 year olds don’t usually go together). Ron showed a series of cards he was urged to present, from his connection to his angel spirits surrounding him in a positive presence. The cards couldn’t have been more accurate and made me tear up numerous times due to me feeling that God was telling me what I’ve needed to hear for a long time. It was reassurance, in a positive way, that I was not alone in my journey and that letting stress harbor inside me and fester wasn’t the way to “let the light in and shine” (so to speak). Ron’s positive words and his ON-POINT intuition spoke volumes. If I had the ability to write down the joyous feelings I had during the session….I would! So just picture this: running through a field full of daisies on a warm spring day, with not a care in the world and a smile on your face…there is the feeling! If you haven’t had a session with this amazing Angel Intuitive yet then I strongly urge you to do so now! 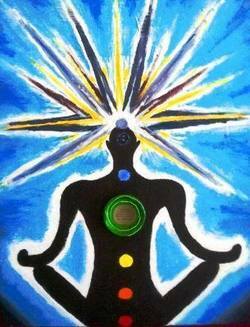 Being in touch with our inner selves, our souls, is one of the most important parts of living a holistic lifestyle! We heal from within and this is a great start in doing just that! All of the services offered on Ascension Magic are for entertainment, spiritual development, spiritual advisement and healing. The content of the reading and/or healing you receive is subject to your own interpretation and in no way constitutes - nor is intended to replace - true medical, psychological, legal, financial, business or other advice. If you are suffering from serious health concerns, please consult a Physician. Your own free will choices dictate that nothing can be predicted absolutely. Any actions taken by you as a result of your reading are done so at your own risk and expense. Ascension Magic does not accept any liability whatsoever whether directly or indirectly for your choices, thoughts and/or actions based on your requested reading. You must be 18 years of age to purchase a reading.